Dental Braces, Invisalign, Dental Implants, Veneers, Crowns. At Cosmetic & Dental Surgery Center, your Invisalign® is done by an orthodontist (Singapore MOH accredited dental braces specialist). without anyone knowing. 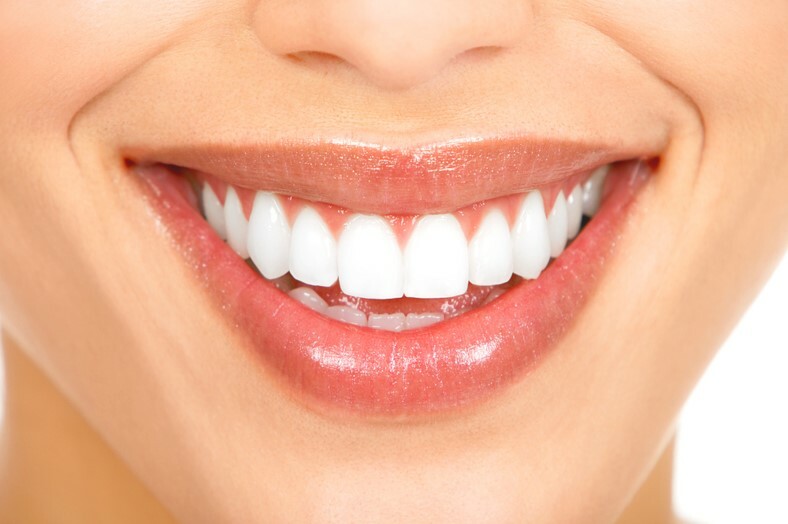 It enables those with crooked, gaps, protruding or uneven teeth to straighten their teeth for a more beautiful smile. Apart from the aesthetic aspect, having straight teeth also makes cleaning and flossing easier, resulting in cleaner and healthier teeth and gums. Invisalign® uses 3-D computer imaging technology to plan and map the complete orthodontic treatment. 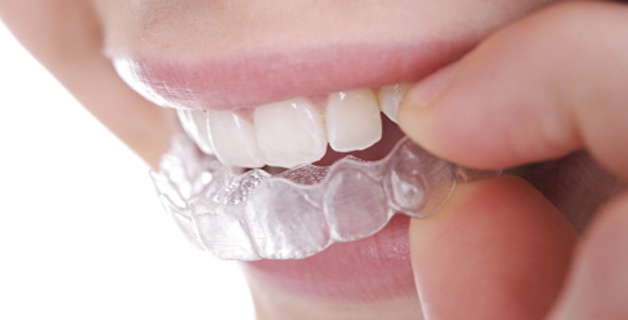 It is a series of customized clear aligners that gradually move your teeth into the optimum position. Each aligner is worn for about two weeks before being replaced by the next in the series until the final position is achieved. Think of it as "contact lens" … but for the teeth. The aligners cannot be seen in photographs or from afar but can subtly be seen close up. Invisalign® aligners are not as noticeable as conventional braces. The clear aligners are also easy to insert and remove, making cleaning the aligners easier. Oral hygiene for the patient is much easier as they can remove the clear aligners when brushing their teeth. At Cosmetic & Dental Surgery Center, your Clear Aligners™ are done by an orthodontist (Singapore MOH accredited dental braces specialist). At Cosmetic & Dental Surgery Center, your Simpliclear braces are done by an orthodontist (Singapore MOH accredited dental braces specialist). For those seeking a more aesthetic option for braces, ceramic or tooth-colored braces may be your answer. While not completely invisible, they are more subtle and still do a good job of straightening uneven teeth. Some trivia for you – did you know that Hollywood actor, Tom Cruise, wore ceramic braces? If you were not aware of this fact, then it means that the ceramic braces did a good job of being unnoticeable on this much-photographed personality. One of the benefits of ceramic braces is that they blend in with your teeth and may not be noticeable from a distance or in photographs. At Cosmetic & Dental Surgery Center, your Incognito braces are done by an orthodontist (Singapore MOH accredited dental braces specialist). 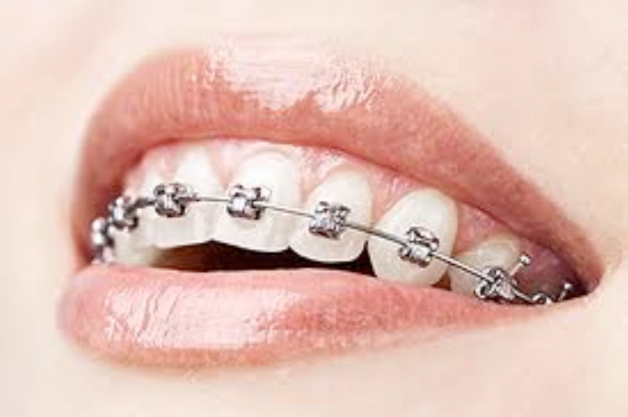 At Cosmetic & Dental Surgery Center, your FUN Metal braces with interchangable colors are done by an orthodontist (Singapore MOH accredited dental braces specialist). These are the conventional type of fixed braces treatment, and you will most likely have seen many of your friends flashing a metallic smile while undergoing braces treatment. Although not the most aesthetic type of fixed braces treatment, the benefits of metal braces is that it is predictable, yields good results, and it is less costly. It is also now possible to have colorful braces to make a fashion statement or to celebrate the holiday season. These colorful elastic ties that bind the wires to the brackets can be changed when the wires are changed, and you could opt for a mix and match according to your mood Thus, wearing braces can also be fun! At Cosmetic & Dental Surgery Center, your Damon Self-ligating braces are done by an orthodontist (Singapore MOH accredited dental braces specialist). Self-ligating braces are one of the newer types of fixed orthodontic options, and are faster and more comfortable than metal and ceramic braces. 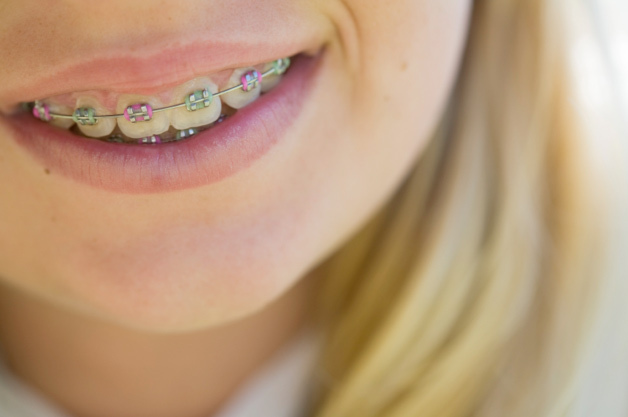 This is because these types of braces are designed with a tiny gate to hold on to the archwires gently (instead of wires or elastic bands) and this speeds up treatment and is more comfortable for patients. Using self-ligating braces, treatment duration can be reduced by an average of four months which translates to faster completion of orthodontic treatment. The number of appointments made is also reduced by four visits on average as compared with conventional brackets since treatment time is shorter . Dental hygiene is easier to achieve as self-ligating brackets do not accumulate plaque as much as rubber modules or wires. They do not easily stain since they do not contain rubber parts. They are also strong and rarely break. Self-ligating braces are aesthetically better compared with conventional braces as they do not need any ligatures, elastic bands or wires to hold on to the arch-wires. At Cosmetic & Dental Surgery Center, your Early Orthodontics and Child Facial Growth Modification are done by an orthodontist (Singapore MOH accredited dental braces specialist). Dentofacial orthopedics involves the guidance of facial growth and development, which occurs largely during childhood. Growth modification, with the use of orthodontic appliances, encourages or discourage the growth of the jaws in order to improve their relationship and thus improve the bite as well as the child’s facial appearance. Timing is important in growth modification as the effects are larger when the child is actively growing. At Cosmetic & Dental Surgery Center, we take the growth of a child seriously. We want to encourage and maximize the child’s growth potential to allow for normal teeth eruption and jaw growth. A fixed rapid palatal expander (RPE) or removable Schwarz appliance may be used to help expand narrow arches to accommodate the eruption of adult teeth while the child is growing. Twin Block appliances achieve rapid functional correction of malocclusion by the transmission of favourable occlusal forces to occlusal inclined planes that cover the posterior teeth. The forces of occlusion are used as the functional mechanism to keep the lower jaw postured and allow for growth. Protraction Facemask therapy is indicated for growing patients with a maxillary antero-posterior deficiency. A reverse overbite is usually seen in such patients and the facemask will assist in encouraging maxillary growth and inhibiting mandibular growth. Our orthodontist will assess the patient for suitability and prescribe the needed treatment. It will be useful to prepare a family history of any members in the immediate and extended family prior to the consultation as the severity of malocclusion has a familial link. At Cosmetic & Dental Surgery Center, your Aesthetic Dentistry is done by an orthodontist (Singapore MOH accredited dental braces specialist). At Cosmetic & Dental Surgery Center, your Adult Jaw Reduction / Enhancement are done by an orthodontist (Singapore MOH accredited dental braces specialist). Reduction of Square Jaw Square jaw reduction can narrow one's lower one-third of the face, particularly if it's caused by the lower jaw and the surrounding muscles. Excessive chewing or teeth grinding at night (a condition known as Bruxism) may cause the masseter muscles to enlarge or hypertrophy, causing the square jaw look. Bruxism in turn, may cause headaches and temporo-mandibular joint (TMJ) aching in some people. While lower square jaws are often considered a positive trait in men, a wide lower jaw in women can distort the natural appearance of the angle between the chin and the neck, and cause significant facial discordance and/or masculinization of the female face. Even in certain men, the size of the lower jaw can cause facial disharmony—particularly when there is asymmetry. This square jaw appearance is further accentuated in Asians because of their smaller facial structures. Square jaw reduction can create an almond shaped face shape for ladies and a youthful sleek look for the men. Surgical and non-surgical methods are available for the treatment of square jaw. Surgical Reduction Surgical techniques can be used to directly reduce the size of an enlarged mandible (lower jaw). Small incisions are made usually inside of the mouth, and instrumentations are used to remove the outer layer of the enlarged mandible, narrowing the jaw. Internal incisions are performed because they do not leave any visible scars. If the upper and lower jaws are not in alignment, it is likely that the teeth need to be corrected to accommodate for the new improved jaw positions and this is accomplished with orthodontics. Non-Surgical Reduction Another method for square jaw reduction is to treat the enlarged lower jaw muscles (masseter muscles) with jaw-reduction micro-injections. This procedure relaxes your enlarged jaw muscles so that the muscle mass slowly decreases over several months. There is no down-time and improvement is gradual. Dosage is adjusted upon an assessment of your facial muscles. Some individuals require more while others may require lesser to obtain an optimal result. Improvement is generally seen 2 – 3 weeks after treatment. Peak improvement occurs at 3 to 9 months with good results still observable at one year in many patients.